Oct. 27, 2017, 10:30 a.m.
By Laura Hazard Owen @laurahazardowen Oct. 27, 2017, 10:30 a.m.
Would you pay, online, for something that you already have access to free online? Medium hopes that the answer is yes. Last month, the site started running, behind its $5/month paywall, “curated content” from a couple dozen publishers. Some (the Financial Times, The New York Times, The Economist) have paywalls of their own. Many others (The Atlantic, Forbes, New York) do not. 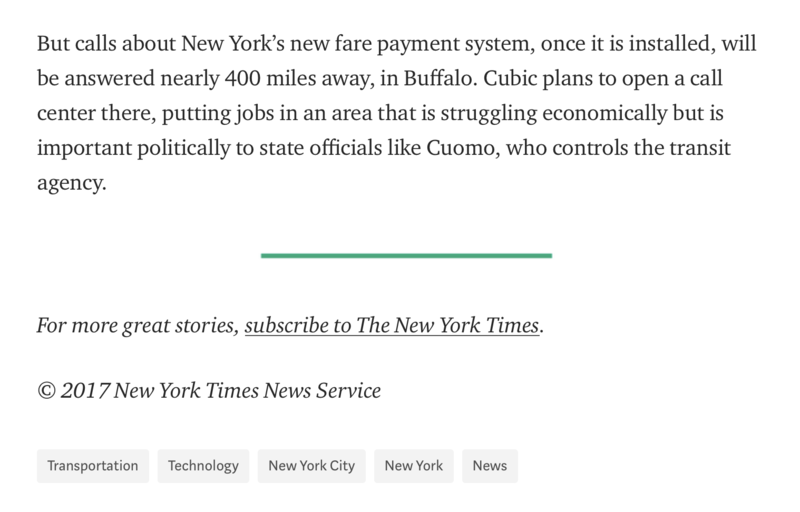 In addition to curation and a nice reading experience, though, Medium’s news program partners get another benefit: money. Each deal is structured slightly differently depending on the publisher, how much content that publisher is putting in, and whether that content is paywalled on the publisher’s site, said Basil Enan, Medium’s vice president for content partnerships. But “at its core, our message to publishers is that this is an opportunity for them to create a new source of subscription revenue, off-platform.” For the most part, publishers get a flat fee per article on Medium “to guarantee that this is worth their time from day one.” (In the case of one publisher I spoke to, who is not quoted in this piece and who didn’t end up participating, the rate was $200 per piece.) This payment model is in contrast to the one that Medium is using for its regular partner program, which lets anyone put content behind a paywall: Those writers earn money based on how much people engage with (clap for) their posts. If Enan’s name — or this model of content partnerships — looks familiar, it’s because he was previously cofounder and CEO of Discors, a news app startup we wrote about a couple times. Discors was initially a context-around-the-news play, but when it relaunched this spring, it looked a lot like what Medium’s doing: a $5/month subscription that gave you access to a limited selection of content from premium publishers, including The New York Times, the Financial Times, and The Economist. That version of Discors didn’t last very long, shutting down in June, but Enan joined Medium in July, and many of those Discors partners are now in Medium’s program. The amount of content on Medium varies by publisher. The Financial Times posted 16 stories between October 1 and 24. In the same period, The New York Times had 23 stories; The Atlantic, 16; Fast Company, 16; Foreign Policy, 16; Forbes, 15; The Cut, 13; Popular Science, 12; Vulture, 12; Rolling Stone, 12; The Guardian, 11; Bloomberg, 10 (in just two days); MIT Technology Review, 7; Project Syndicate, 7; The Intercept, 6; The Economist, 5; Inc., 5; Billboard, 3; Boat Magazine, 3; CNN Opinion, 3; New York, 3; and The Hollywood Reporter, 1 . For now, publishers like the Times are basically getting free money for letting a Medium editor pick one of its pieces to post every weekday or so. Or, as Grossman-Cohen put it, “Medium has derisked it for us by providing financial value while creating opportunities for us to establish direct relationships with readers.” Each Times Medium story links back to a Times subscription offer (meanwhile, in Medium’s partner program for regular writers, soliciting subscriptions is not allowed), and the Times can also communicate directly with readers through Medium. The publishers that I spoke to said it was too early to draw any conclusions about the platform. “So far, the results are showing decent ratios of exposure to engagement,” Grossman-Cohen said, stressing that the Times hadn’t entered the deal expecting volume. “Every publisher has at least one person, if not a massive team of people, who are managing their social media accounts, and I think for many, at least historically, Medium hasn’t been a huge priority there,” Enan said. “I think we’re seeing that shift to: ‘Okay, my read numbers aren’t going to be huge. But there’s a huge revenue opportunity here. '” Especially as long as Medium just keeps paying them. 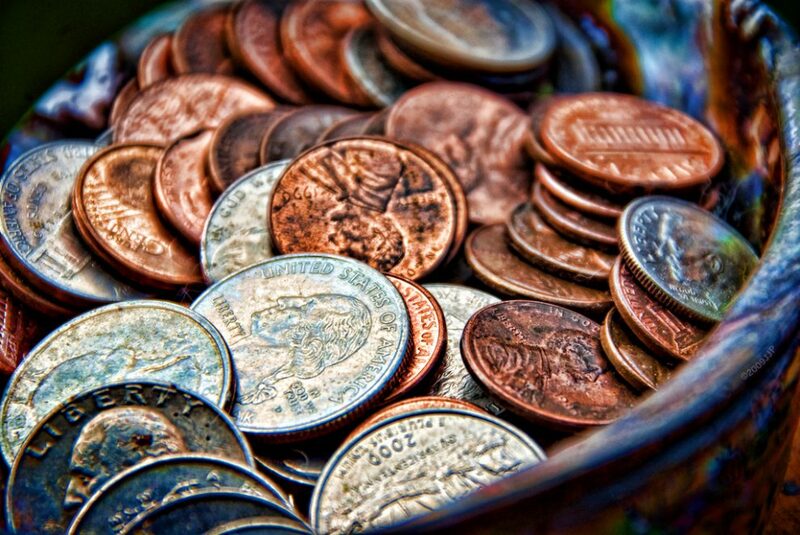 Photos of coins by J J used under a Creative Commons license. POSTED Oct. 27, 2017, 10:30 a.m.
Owen, Laura Hazard. "How Medium is attracting premium publishers to its partner program (hint: money up front)." Nieman Journalism Lab. Nieman Foundation for Journalism at Harvard, 27 Oct. 2017. Web. 18 Apr. 2019. Owen, Laura Hazard. "How Medium is attracting premium publishers to its partner program (hint: money up front)." Nieman Journalism Lab. Last modified October 27, 2017. Accessed April 18, 2019. https://www.niemanlab.org/2017/10/how-medium-is-attracting-premium-publishers-to-its-partner-program-hint-money-up-front/.